Waters began to recede Tuesday in the US Midwest after historic flooding that claimed at least three lives and caused losses estimated at more than $1 billion. 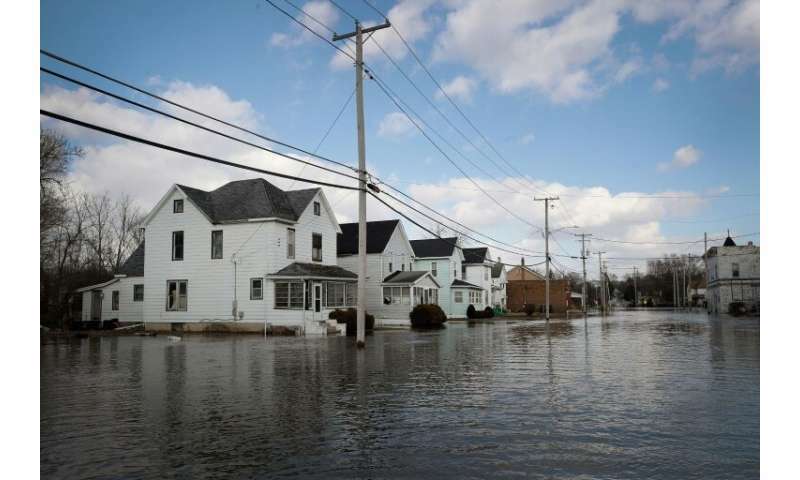 The flooding across a predominantly rural part of the country was caused by a big storm last week and rapid snow melt that swelled streams and rivers in large swaths of the middle of the United States, and sent gushing water over levees. Officials also were concerned about crop and livestock losses at farms. "This past week will forever be remembered for the historic, devastating flooding our state experienced," Nebraska Governor Pete Ricketts said in a statement. "In scope of reach, we believe it is the most widespread natural disaster in our state's history." Iowa Governor Kim Reynolds said she and Ricketts would be seeking expedited federal funds to repair roads and other infrastructure. Reynolds has declared 41 Iowa counties disaster areas. "We're continuing to work with local officials to assess the flood damage," she told a news conference. While waters were receding in some areas, the National Weather Service (NWS) forecasted flooding would persist in parts of eastern Nebraska and western Iowa. "Major to historic and catastrophic flooding will continue across parts of the Missouri and Mississippi River Basins," the NWS said in an advisory. Nebraska officials estimated that damage to public and private property topped $600 million. The Nebraska Farm Bureau, a group representing farmers, expected crop and livestock losses around $1 billion. Reynolds said two-thirds of the small town of Hamburg, with a population of approximately 1,000, was destroyed. Two people were killed in Nebraska last week due to the raging flood waters, while a motorist died in Iowa after his vehicle was swept away. A third of Offutt Air Force Base in Nebraska was overcome with floodwaters, and was not expected to be dry again until Thursday.